Polaris Laser Laminations can provide core loss testing for your specific needs. 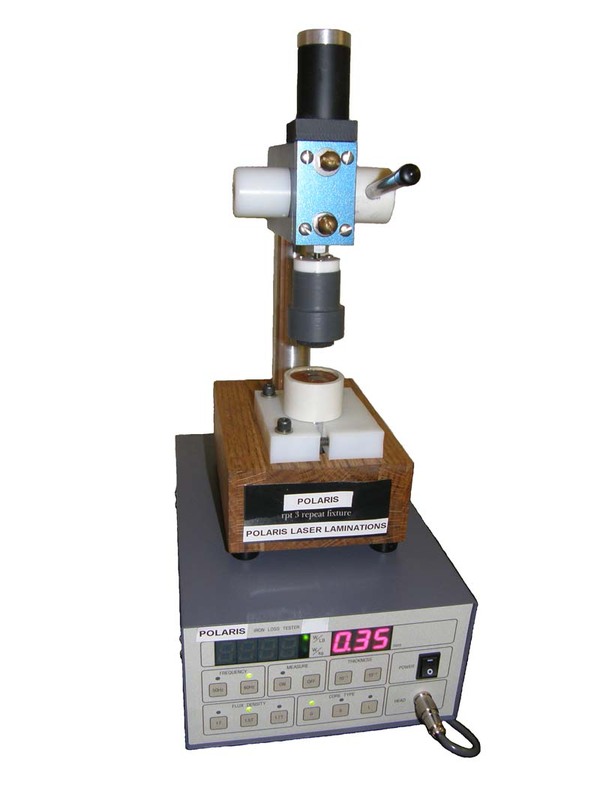 Our core loss tester is designed to measure electromagnetic steel sheets for Core Loss. Core loss testing provides a direct reading of core loss in W/kg or W/lb from a single sheet sample. When compared with a conventional Epstein Testing method, our method is faster and easier yet still accurate. Send us your laminations to reverse engineer even if you dont know what the material type is with our core loss tester. Send us your laminations to be tested and reverse engineered. Once we determine what the material type is, we can laser cut new parts to match the original laminations. This is compared with the measured value of JIS and ASTM Epstein tests. We can test any type of steel for you.